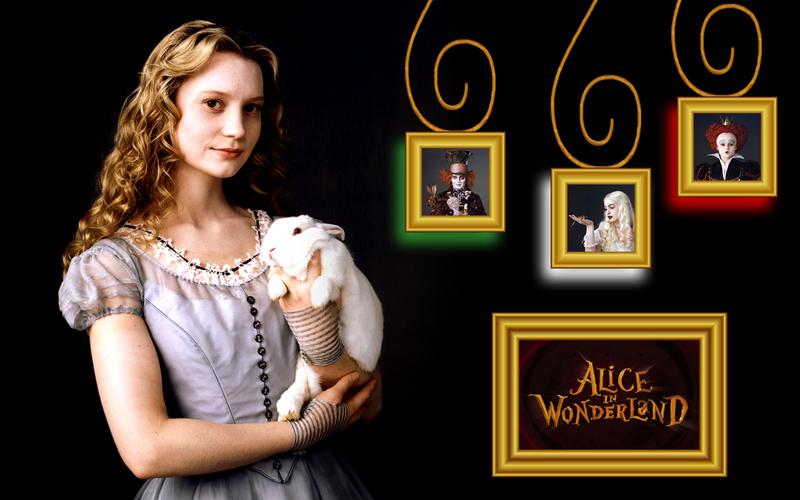 Alice Wallpaper - Photo Frames. I made this in a little over an hour. Tell me what you think of it. . HD Wallpaper and background images in the Alice in Wonderland (2010) club tagged: alice in wonderland alice tim burton tim burton's alice in wonderland wallpaper desktop photo.